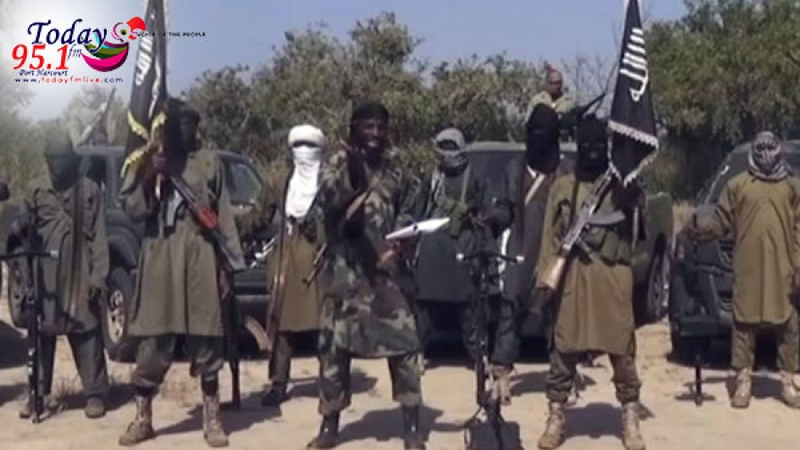 The Islamic State (IS) militant group, last week, announced that its West African affiliate Boko Haram has a new leader. The Federal Government immediately dismissed the announcement, saying it was mere propaganda by the “defeated terrorist organisation”. But a security report, Dr Ona Ekhomu, asked government to see danger in the appointment of the new Boko Haram leader. Abu Musab al-Barnawi, who was previously spokesman for the Nigerian-based Islamists, is featured in the latest issue of an IS magazine. It did not say what has become of the group’s former leader, Abubakar Shekau. He was last heard from in an audio message last August, saying he was alive and had not been replaced – an IS video released in April said the same. Boko Haram, which has lost most of the territory it controlled 18 months ago, is fighting to overthrow Nigeria’s government. Its seven-year insurgency has left 20,000 people dead, mainly in the country’s north-east. In the interview in IS’s weekly Arabic magazine al-Naba, Mr Barnawi said his group “remained a force to be reckoned with” and said it had been drawing new recruits. He described the group’s battle against West African states as a war fought by Muslims against “apostates” and “crusaders”. Who is Abu Musab al-Barnawi? Little is known about Abu Mus’ab al-Barnawi, who appeared in a Boko Haram video in January 2015 as the group’s spokesman He wore a turban and his face was blurred out and it was filmed as a sit-down studio interview. Unlike Abubakar Shekau, his delivery in the Hausa language was considered and softly spoken Mr Shekau was often filmed in the open, surrounded by fighters, loudly proclaiming his threats, victories and giving rambling ideological lectures. However, Mr Barnawi pulled no punches, warning that towns which resisted Boko Haram in its mission to create an Islamic state would be flattened. He also spoke of being against democracy and foreign education. In his most recent magazine interview, he again objected to the name Boko Haram, by which local people call the group, as it means “Western education is forbidden” in Hausa. He maintained IS was still strong in the region and promised to continue fighting West African governments. Mr. Shekau took over as the group’s leader after its founder, Muhammad Yusuf, died in Nigerian police custody in July 2009. Under his leadership Boko Haram became more radical, carried out more killings and swore allegiance to IS in March 2015. In numerous videos, Mr Shekau taunted the Nigerian authorities, celebrating the group’s violent acts including the abduction of the more than 200 Chibok schoolgirls in April 2014. Nigeria army has claimed to have killed him on several occasions, and he has not appeared in a video since joining IS. ‘Cheap propaganda’ “The Nigerian government has described as cheap propaganda the report that ISIS has appointed a new leader for Boko Haram, saying it is too late to employ such tactics to revive the defeated Nigerian terrorist organization,” a statement released by the Minister of Information, Lai Mohammed, said in a reaction to the report of a new leader for Boko Haram. The statement was signed by Segun Adeyemi, the minister’s spokesperson. The government called on Nigerians to ignore the ISIS report. “Don’t believe the cheap propaganda by the global terrorist group ISIS, which has reportedly named a new leader for Boko Haram. Our gallant military has put Boko Haram on the run and nothing will bring back the terrorists, not even the wishful thinking by ISIS,” the statement said. The military had earlier said the report was of no effect to its operations against the deadly group. The Director of Defence Information, DHQ, Brigadier General Rabe Abubakar, said the military remained focused on its operation in the North-East. He said the announcement of a new leader for the group was only aimed at seeking attention and relevance. “As far as we are concerned, what Boko Haram or their cohorts are doing is of no relevance to our operations against them”, Rabe stated. “We are just focused on clearing the remnants of the insurgents that are scattered around. What they are doing is to seek relevance and to tell the world that they are still around whereas they have been decimated. “Their latest move is the antics of a fading group and I believe that in the shortest time they will be history”. ‘Local franchise’ Separately, Ekhomu, the President of the Association of Industrial Security and Safety Operators of Nigeria, said Al-Barnawi’s appointment as Boko Haram leader was a dangerous development in the ongoing war against terrorism in the country. He urged the FG to place intelligence agencies, the military, law enforcement and citizens on full alert to avert terrorist attacks. “If ISIS gets to appoint senior leadership for Boko Haram, then they are probably running the Nigerian terror group as a local franchise. Strategic decisions such as leadership appointments are made by the spiritual leader of a terrorist group. In other words, the appointment of Al-Barnawi might have been made by ISIS leader Sheik Abu Bakr El-Baghdadi himself,” he added. In an interview he granted Al-Naba Newspaper, which was translated by SITE Intelligence Group, Al-Barnawi was reported as describing Boko Haram’s activities in Nigeria as a war fought by Muslims against “apostates” and “crusaders.” He said the group was aggrieved that the West had been trying to Christianise Africa, saying the West was spreading Christianity to the African region and charities were assisting them in doing that. They exploit the condition of those who are displaced under the raging war, providing them with food and shelter and then Christianising their children.” Al-Barnawi vowed that Boko Haram fighters would retaliate by “booby-trapping and blowing up every church that we are able to reach and kill all those (Christians) who we find from the citizens of the cross.” The new Boko Haram leader said the sect “remained a force to be reckoned with,” boasting that it had enlisted new recruits.